We will be traveling to Xcalak and Banco Chinchorro Island, Mexico for an Off the beaten path expedition in search of American crocodiles. Banco Chinchorro is a protected marine reserve and boasts the largest aggregation of wild American crocodiles in the world. These encounters are unique opportunities to experience these animals up close and personal, in the water - for a face to face experience. Day 1 - We pick you up at the Cancun International Airport (between 10-11 am) and take a 5 hour private van ride to the sleeply little resort town of Xcalak. We check into the hotel, prep gear and the rest of the evening is yours to relax. - We will spend 3 days snorkeling with the crocodiles. This trip however, is planned as a 4 day expedition. Day 2 - We pack our gear for a 2 night stay at the Fisherman’s hut (8AM). We take a 2 hour boat ride to Banco Chinchorro Island Marine Reserve. Once we are there, we will do a one tank dive to find crocodile bait (we hunt lion fish as part of the *lionfish eradication program for Banco Chinchorro) We begin chumming for crocs. Once they arrive we spend the day swimming with them. Finish our night with dinner while we watch the sunset. Day 3 - We will do a one tank dive in the early morning. The rest of our day will be spent swimming with crocs. After we are done, we will visit the ranger station to photograph the crocodiles that lay around the beach and in the lagoon, and the many giant iguanas (Black and green), on the island. We will spend the night here (last night in Chinchorro), watch the sunset, eat dinner and relax. Day 4 - Wake up in the morning for a one tank dive at Chinchorro. We then return to our lodge and chum for crocs and swim with them until it is time to depart for Xcalak, (normally around 1PM). Day 5- We will do a one tank dive in the morning, clean up and depart for Playa del Carmen at 12 noon. Once there we will check into our hotel for the final night of our adventure. Playa del Carmen is a resort town with a lot of places to enjoy your final evening in Mexico. One of the afternoon’s, when we finish up with the crocs, we will visit the ranger station on the island, to photograph the crocodiles that lay around the beaches and the lagoon, and the many giant iguanas (Black and green), on the island. The area we are visiting is a Marine reserve, so the only people who live here are fishermen (who were living on this island before it became a reserve, so they were grandfathered in). Most of them live in stilt houses on the water. At the end of the day when they returned home, after a day of fishing, they would clean their catches and throw the carcasses into the water. The crocodiles that live in the mangroves on the island, soon learned they could get a free meal if they would hang out under these houses. These stilt houses are where we stay when we visit Banco Chinchorro. It is a rustic camping style living, in a very picturesque setting. The conditions here were the perfect place to set up a crocodile diving site. Crocodile diving is all about rules. Our job is to provide you with the opportunities to get upclose and personal with these dinosaurs, while keeping you safe. So we will always have a safety diver in the water with you, making sure you and the animals are ok. As well as on deck. We have our crew on look out, watching for any new crocodiles that may be approaching while we are in the water. Crocodile diving is unique, and we want you to enjoy every second of your experience, with you bringing home the images and memories you have always dreamed of. While we are in Xcalak, we will be staying in a hotel, but for the crocodile portion of the trip, we will be spending two nights in a fishermen's cabin on the water. We sleep in hammocks, - they also have two cots, in case hammocks are not your thing.). This is a rustic camping style setting, we bring everything we need with us from Xcalak, including an amazing chef. The evenings here are quiet, with a beautiful breeze and a great view of the sunsets and sunrises. We stay in Chinchorro, to maximize our time with the crocodiles. Some days they show up early to play, other days, it takes a while before they arrive. Our final day will be spent doing a one tank dive (morning dive) on the reefs off Xcalak. Our dive will be at, 'La Poza.' The dive site is a giant trench with lots of current, where a huge school of ( 3 -7 feet long ) tarpon hang out. Our second option for a dive will be spent seeking out the elusive mermaids. Manatees seasonally migrate through the area. They are much harder to find, but if we find one, it will be a great way to end an amazing big animal adventure. Thank you for your interest in our Crocodile Diving Expedition. We will send you more information on this trip. If you have any immediate questions, regarding the expedition, please feel free to call us, or send us an email. 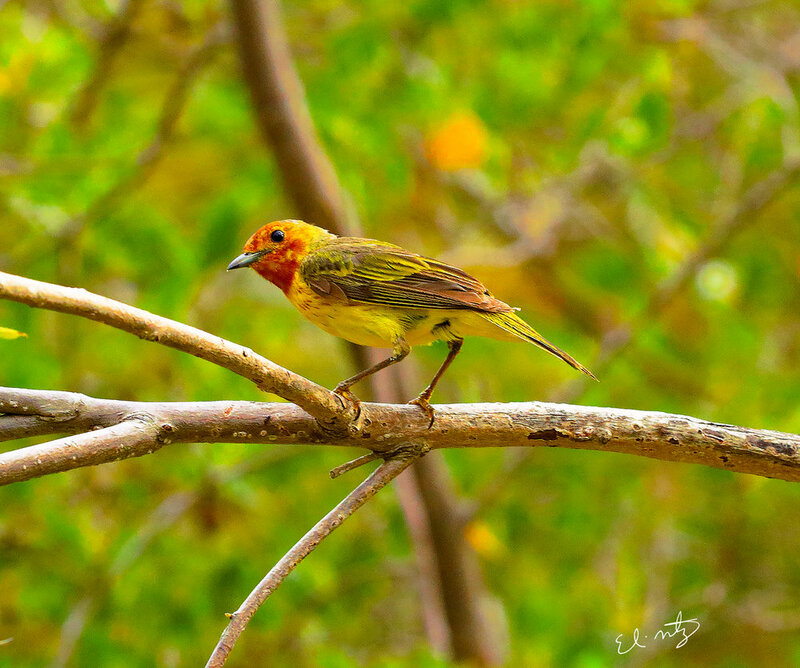 * FOR BIRD ENTHUSIASTS - Xcalak and Banco Chinchorro are a birders paradise, with extremely hard to find species to photograph. 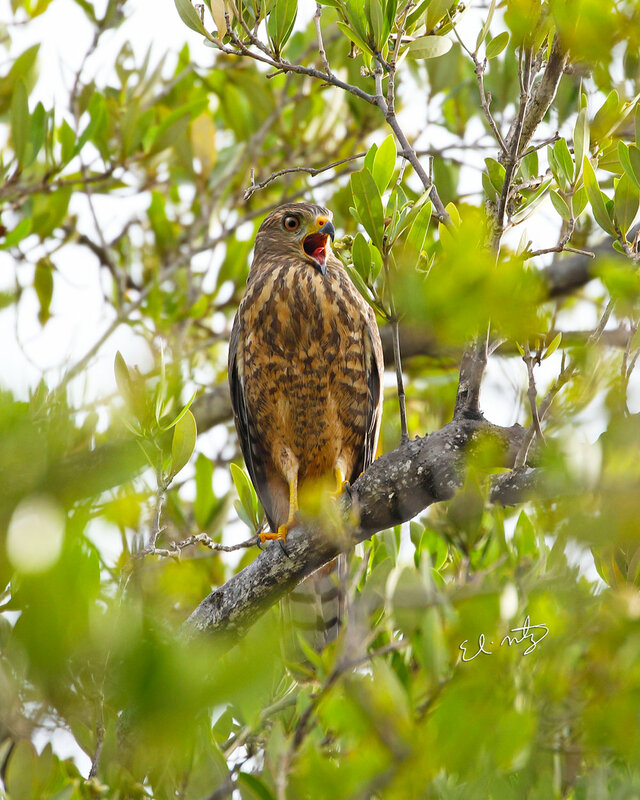 Such as predatory species like; Ferrunigous pygmy owls, and roadside hawks, as well as song birds like the Yucatan woodpeckers, tropical mockingbirds, hooded orioles and the elusive mangrove warblers. Magnificent frigates hang around the fishermen’s cabins. They will often come flying in close for scraps, which makes for great close up flying images of these ancient birds.